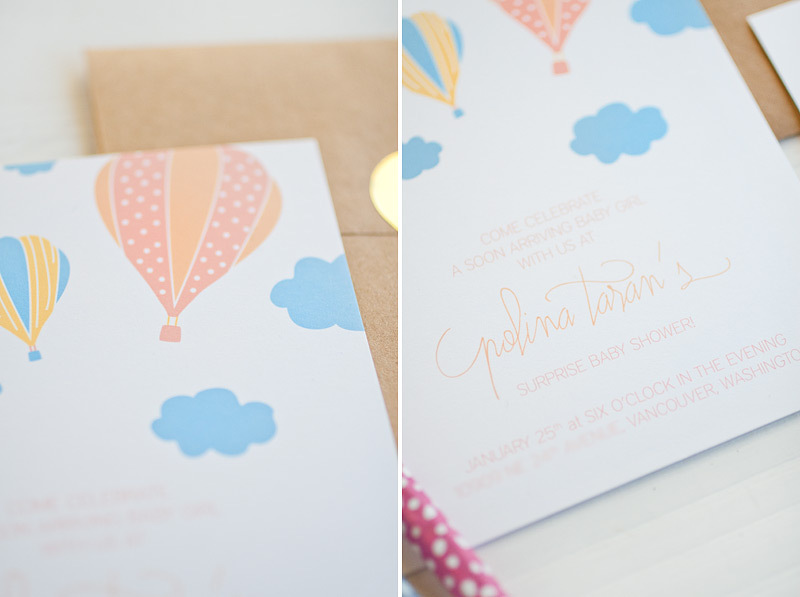 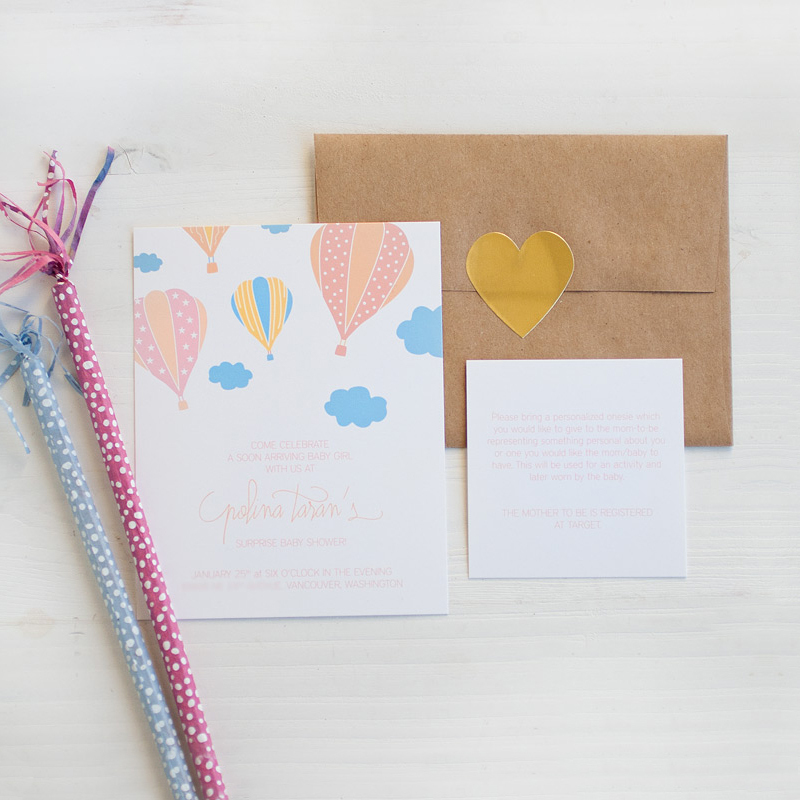 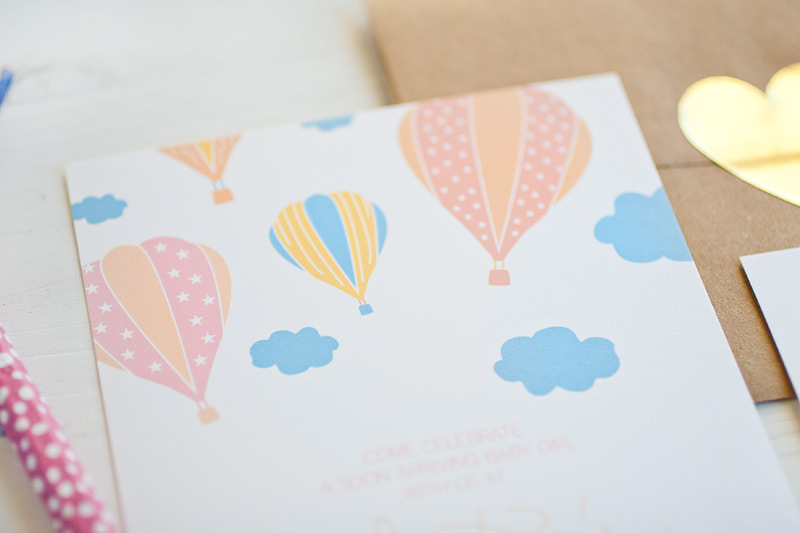 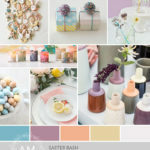 This set of baby shower invitations featured an array of hot air balloons with peach, yellow, blue, and touches of pink as the color theme. 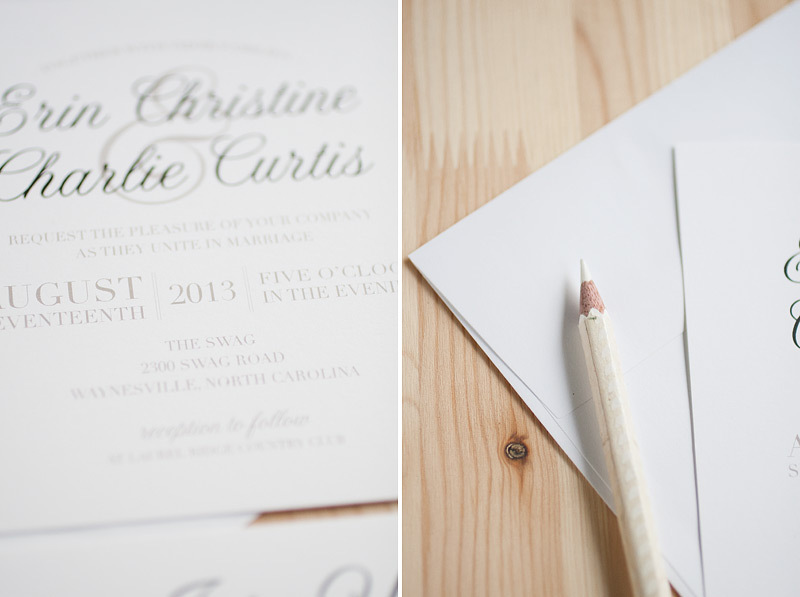 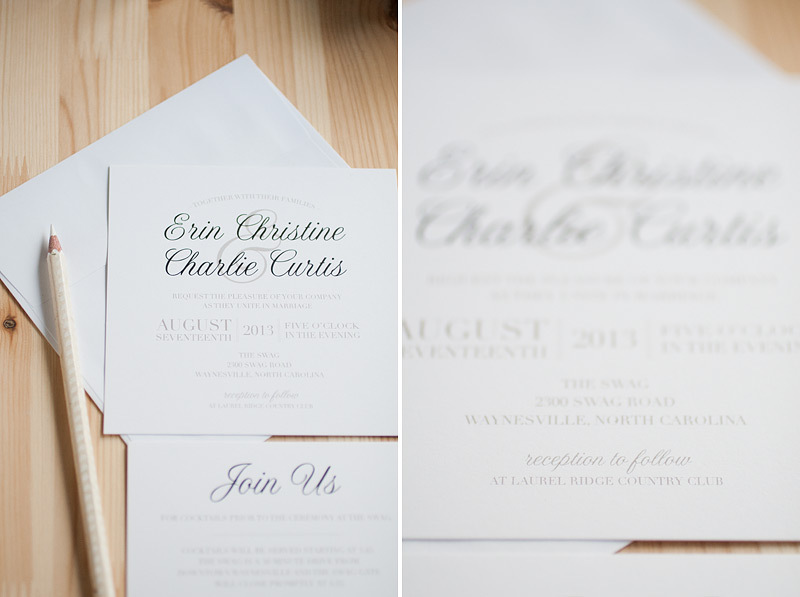 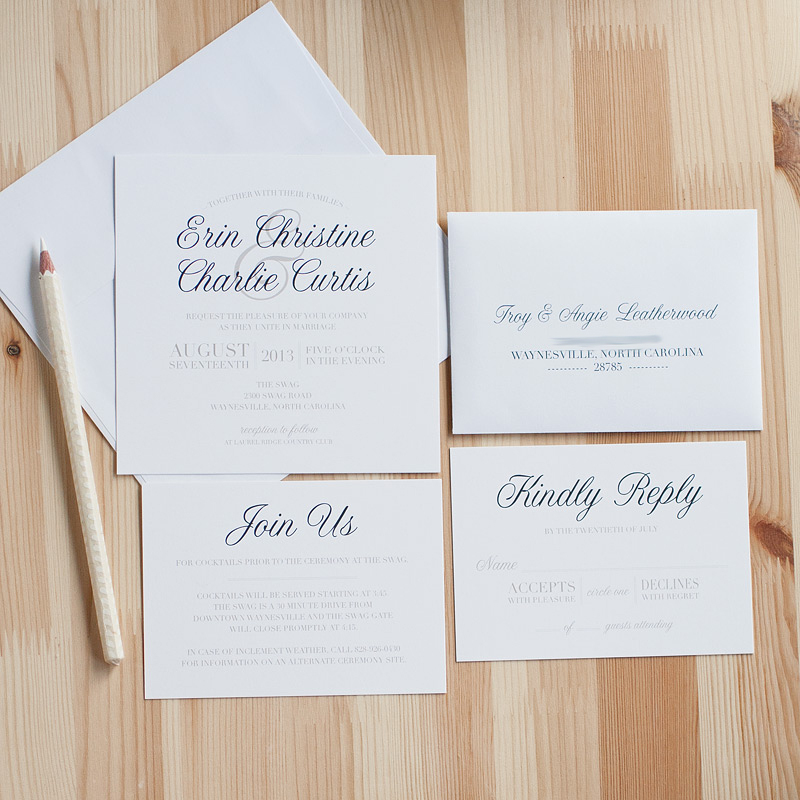 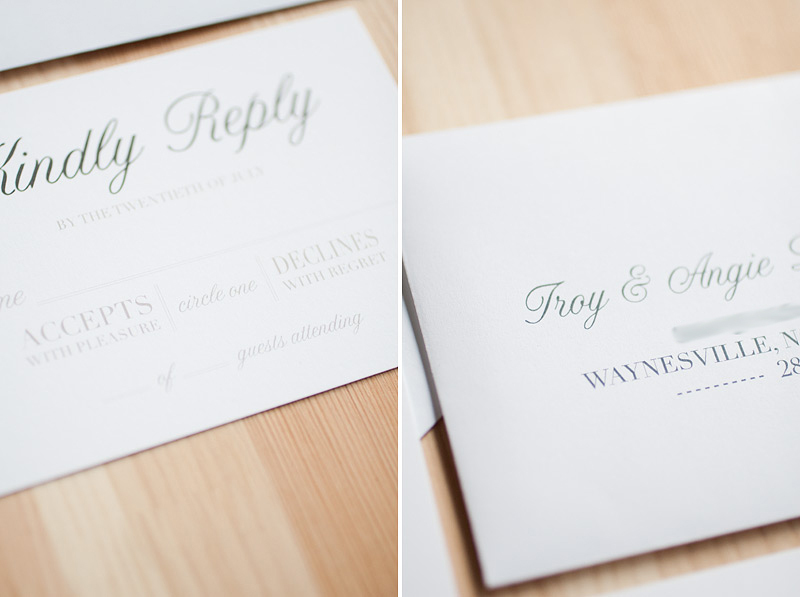 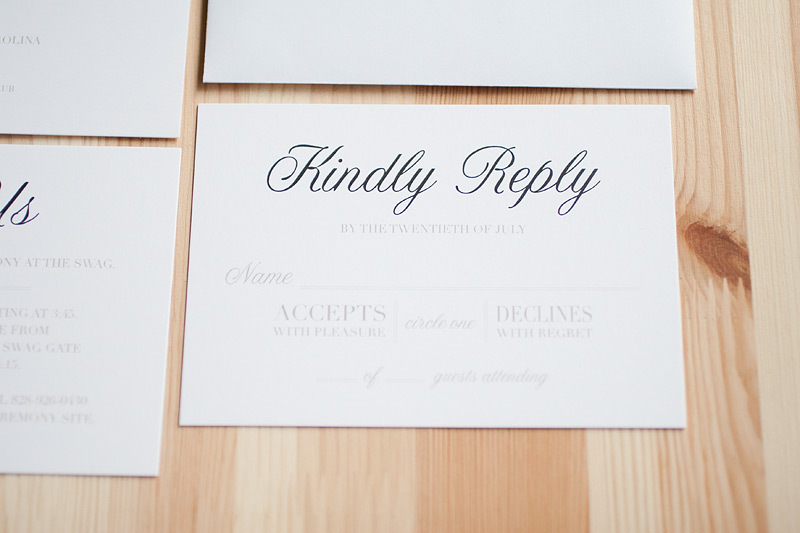 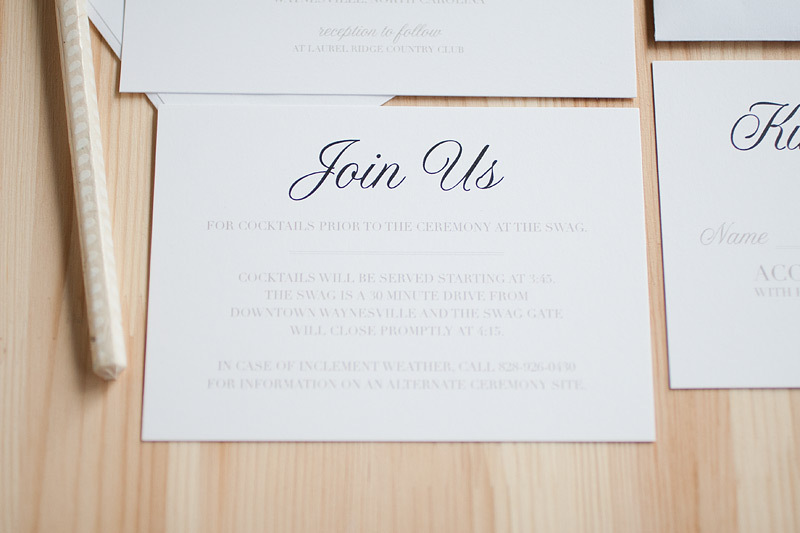 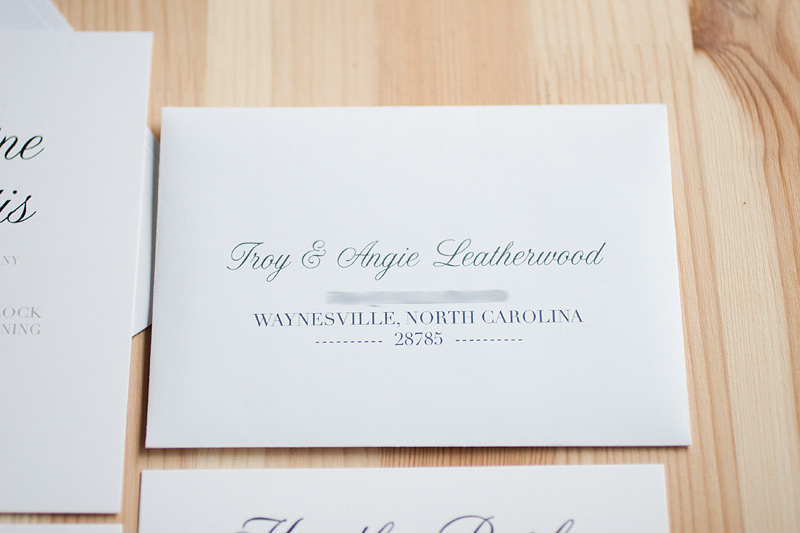 Printed on smooth white paper, they were then coordinated with kraft envelopes and gold heart stickers. 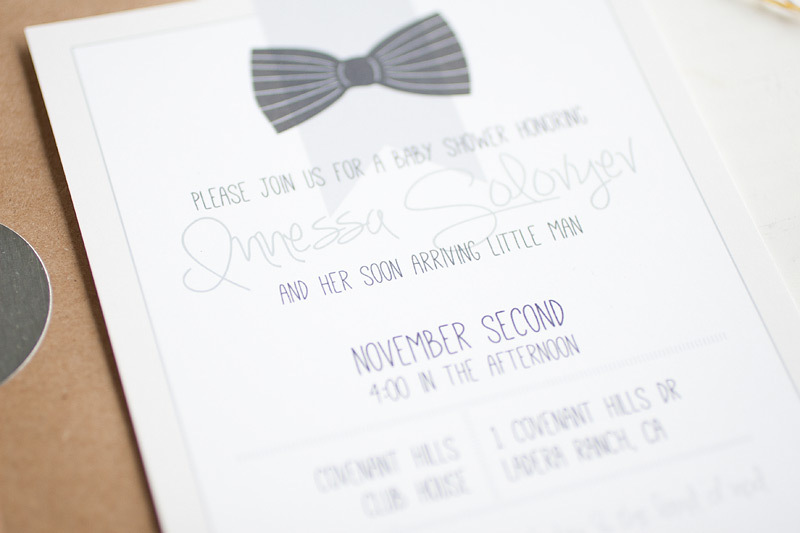 These custom baby shower invitations were all about class. 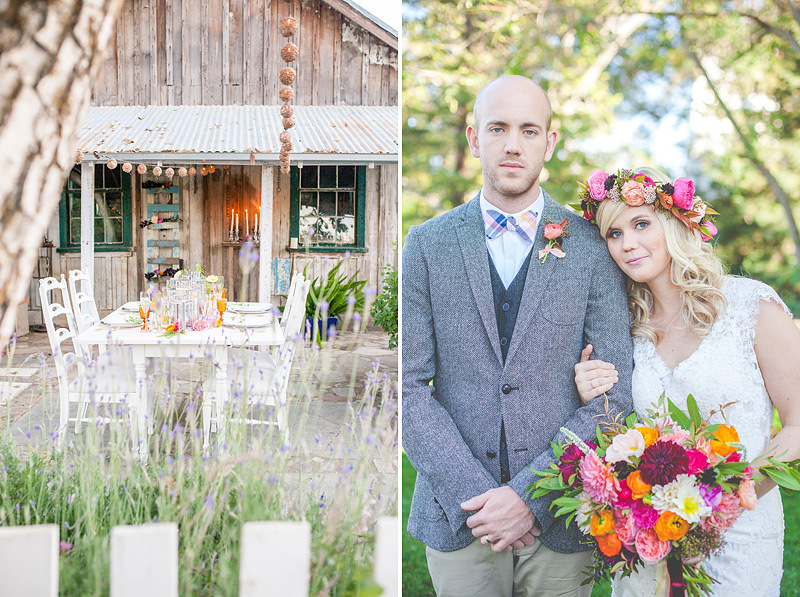 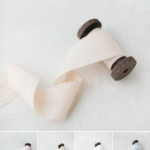 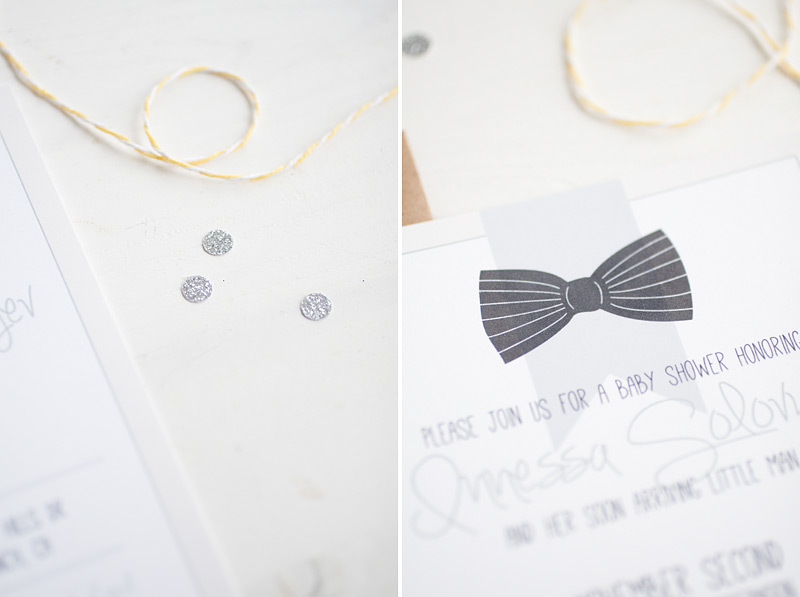 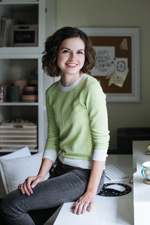 A black bow tie was the focus in the design, with playful type accompanying it. 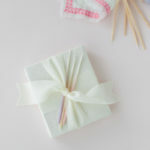 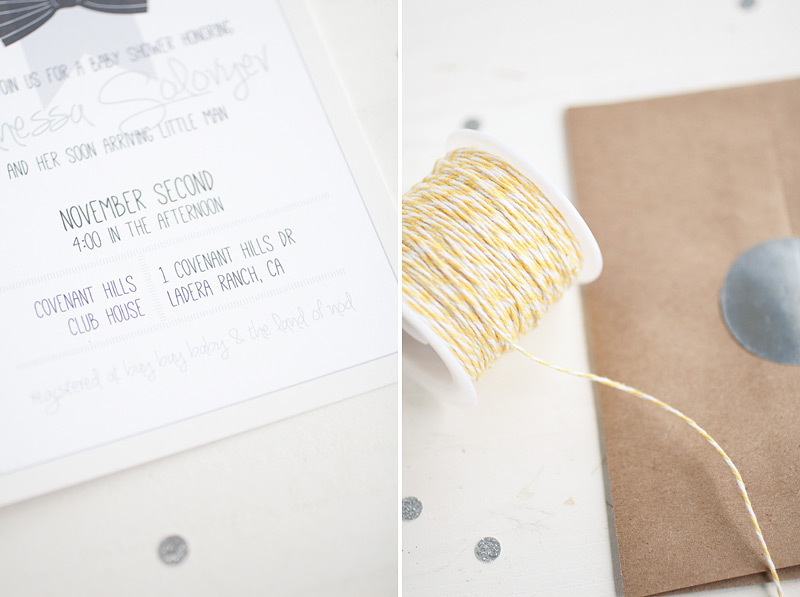 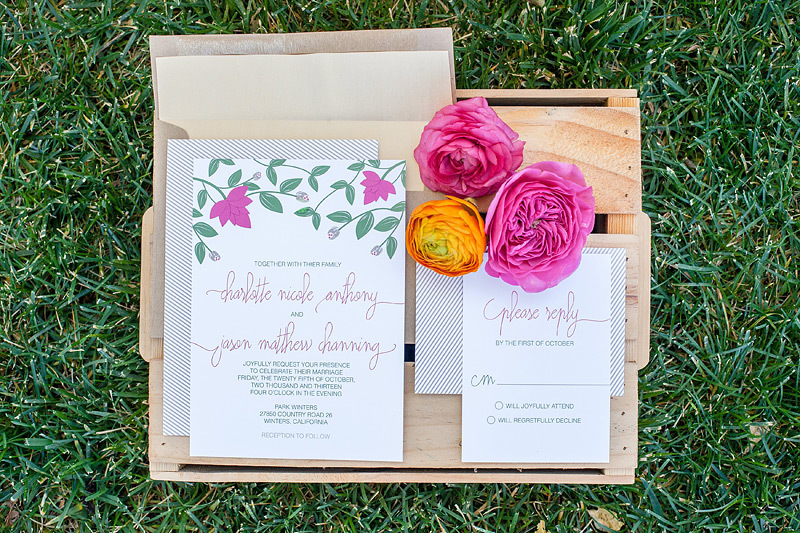 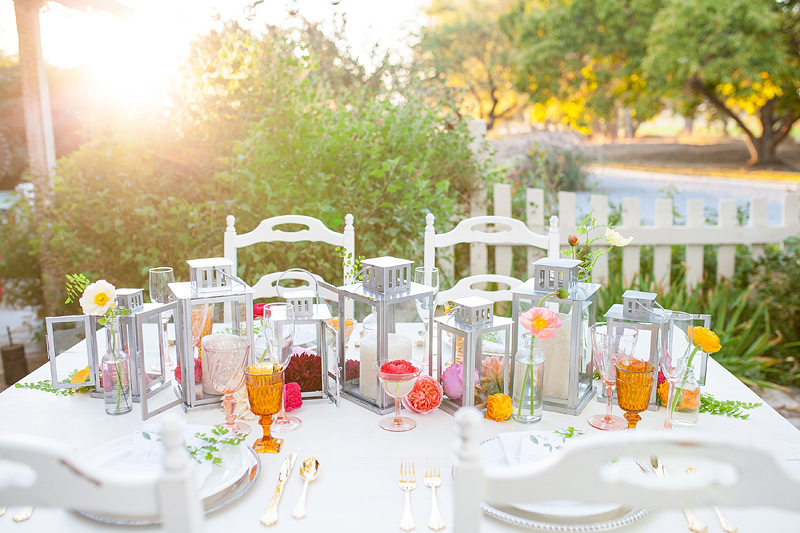 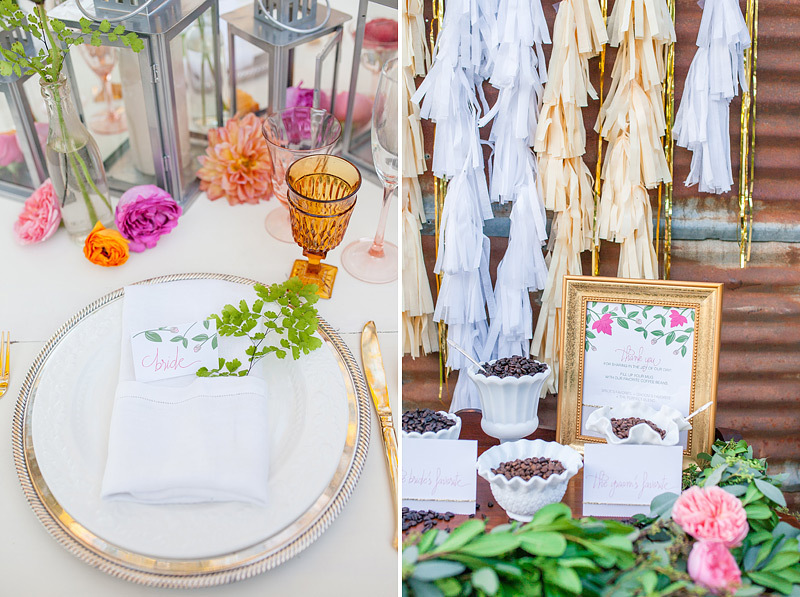 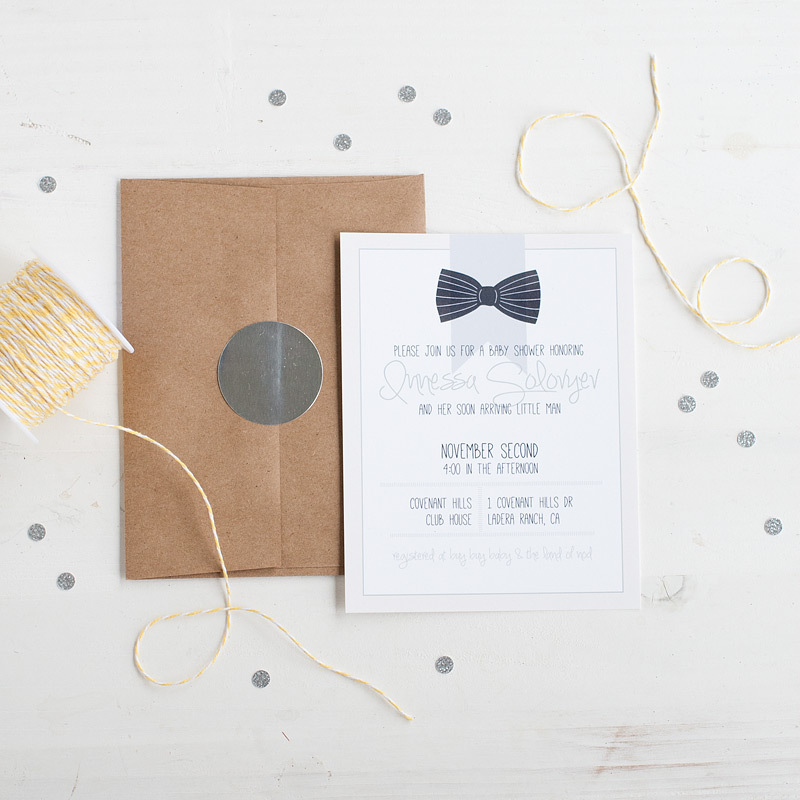 Printed on smooth white paper — and then coordinated with brown kraft envelopes and sunshine yellow twine, these invitations were simply adorable. 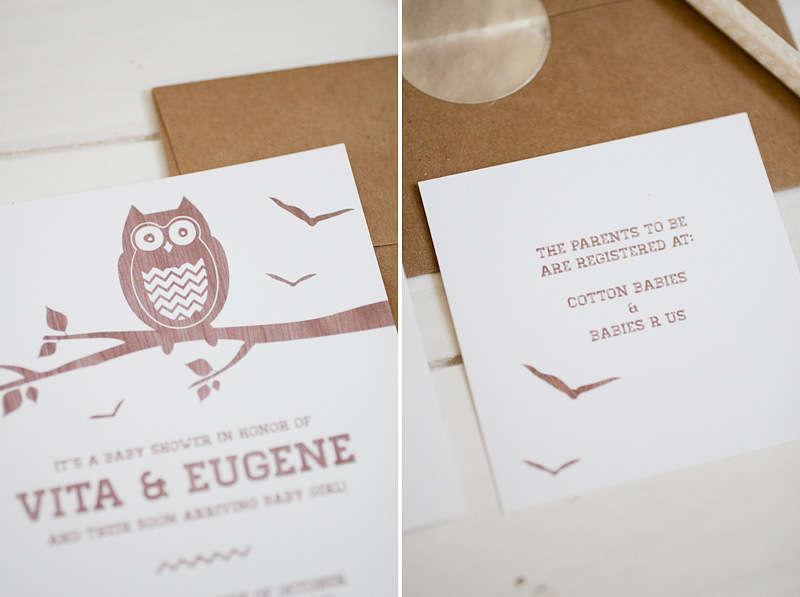 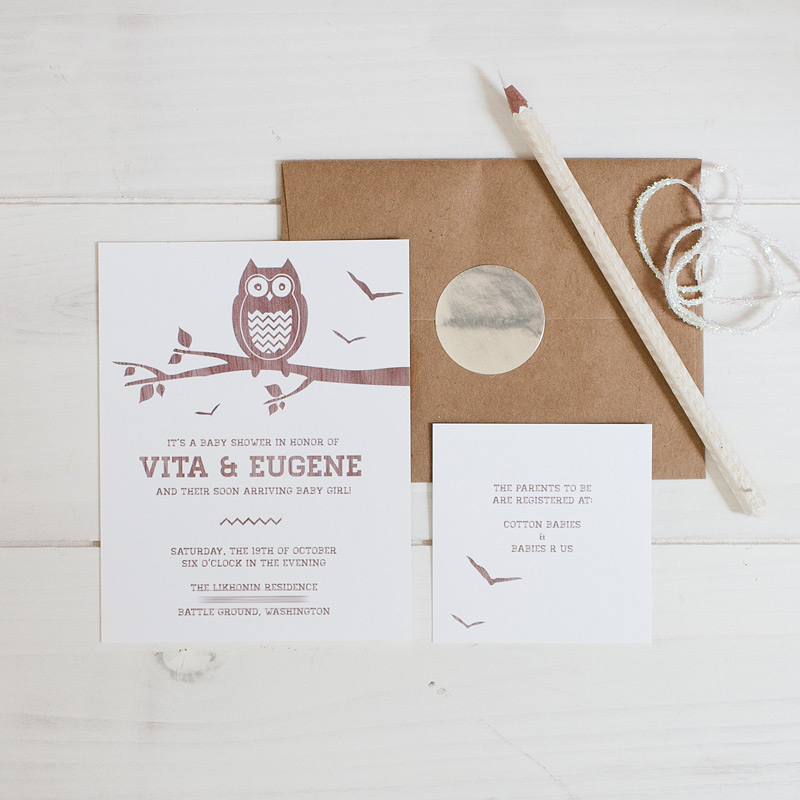 These baby shower invitations featured an adorable little owl perched on a branch. 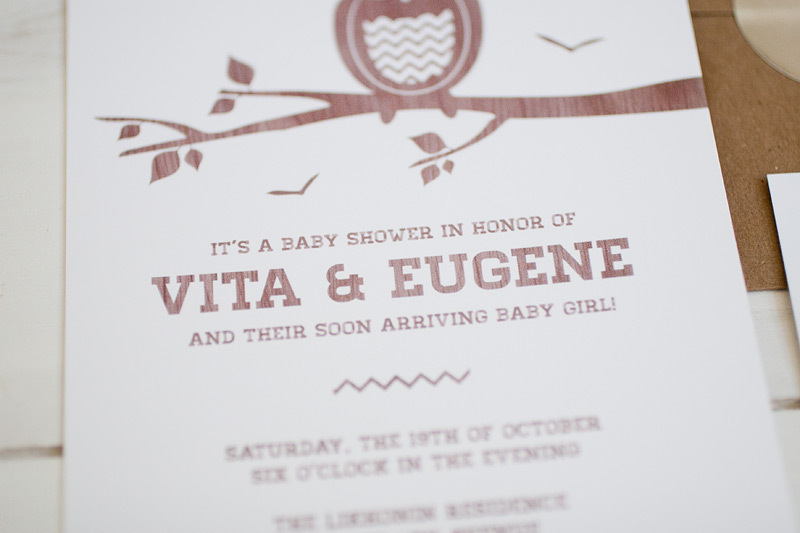 The illustrations and parents’ names were printed with a wood grain texture in brown tones and then then coordinated with “woodsy” recycled kraft envelopes.